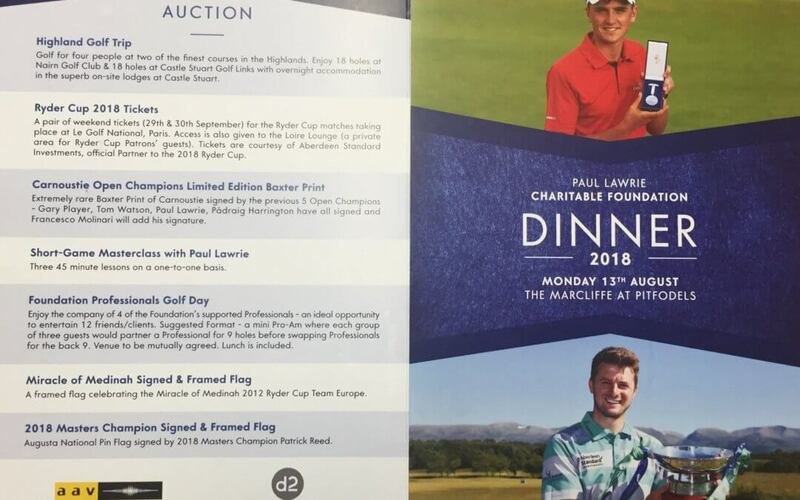 We were at the Marcliffe Hotel last night for our annual foundation dinner, it was again a really good night with fantastic entertainment from Richard Gordon, Alex Fleming, Stephen Gallacher and Willie Young. Massive thanks to everyone who sponsored a table and of course for another wonderful meal and service from everyone at the Marcliffe. Big thanks to Michael MacDougall and my wife Marian for all their hard work throughout the year as well as last night, lastly thank you to the guys at Aberdeen AV and everyone at D2 Marketing.